It is not a secret that Samsung is dominating the market with its newest Galaxy S7 and S7 Edge. The Edge model came like a huge surprise since the release of the S6 Edge. This year’s newest model was like an update to the flagship model. But, even if 2016 is not over yet, people have started to talk about Samsung’s newest model that is waiting to be released. So, it is inevitable to not talk about Galaxy S8’s rumors. Unfortunately, we know that Samsung is not in a very good position right now, due to the exploding Galaxy Note 7 phones. But, this doesn’t mean that its smartphone legacy is over. No, people know that less fire-prone phones are waiting to be released. Despite the company’s profits plummeting to their lowest in nearly eight years due to the recalling and then completely ceasing production on the Note 7, Samsung has big plans with Galaxy S8. To be added that the Galaxy Note 7 situation is not over yet, because Samsung is still facing lawsuits, as well as exploding appliances that go beyond flammable phones. Probably that is the main reason why there are so many rumors regarding the Korean manufacturing giant’s next phone. As we know, Galaxy S7 was released last March. Now, we are talking about the new Galaxy S8 that is awaiting to be released in the same exact period, but next year. 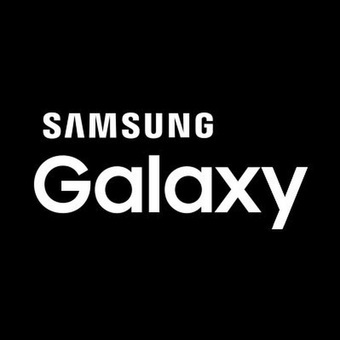 Samsung Galaxy S8 will probably be the first device to help redirect the company’s efforts to gain new buyers who don’t already have a Samsung smartphone. So, how will the new Samsung Galaxy S8 be? Well, from rumors we can see that the company plans to build a phone that will be 90 percent screen. This movement could be a step up from an average ration of 80 percent screen-to-bezel. Moreover, other recent reports show that the new phone will be all-screen, and that the company will also toss out its whole home button, including the fingerprint reader. Instead of a fingerprint reader, Samsung will use an optical sensor that will be situated beneath the display. Another interesting thing is that just like Apple, Samsung also plans to get rid of the headphone jack. Rumors are claiming that Samsung’s headphone jack will disappear, and instead customers will have to use wireless Bluetooth-connected headsets. Another big expectation is Samsung to go ultra-high-def, which means to move to a 4K resolution of 3849×2160 pixels.